The city issued its first long-term Gun Violence Restraining Order for a man caught shooting at neighborhood animals. A San Diego man arrested for firing shots at trees and neighborhood animals while under the influence has been ordered to surrender his guns for a year. This case marks the city's first long-term Gun Violence Restraining Order, announced the City Attorney's Office Monday. Shawn Michael Erler of the San Carlos community had a blood alcohol content of .255 -- nearly three times the legal limit -- and was on prescription medication when the shooting unfolded on Dec. 11. When police arrested Erler, he told them he was shooting at rats and raccoons. A few days later, he was served with a temporary order. On Wednesday, Erler became the subject of the city's first restraining order for gun violence. City Attorney's officials said they obtained the order on behalf of the San Diego Police Department. "A gun violence restraining order is a relatively new and powerful tool law enforcement can use to prevent future gun-related tragedies," City Attorney Mara W. Elliot said. "It was grossly negligent for this individual to fire a gun in a densely populated neighborhood. This kind of conduct all too often leads to the loss of innocent lives." Superior Court Judge Tamila E. Ipema granted the order which lasts one year. During that time, Erler is forbidden from having firearms and ammunition in his custody, as well as owning, possessing, purchasing, receiving or attempting to buy those items. At the time of his arrest, Erler brandished a High Point .380 handgun. Police officers responded after a neighbor reported hearing three gunshots, according to the City Attorney's Office. Once officers arrived at the scene, Erler fired another three shots at his neighbor's backyard. Eventually, officers were able to make Erler hand over the gun. He told police he should not possess weapons, stated the City Attorney's Office. Erler was arrested for willfully shooting in a grossly negligent manner that could result in injury or death. Police seized and kept his gun in their custody. 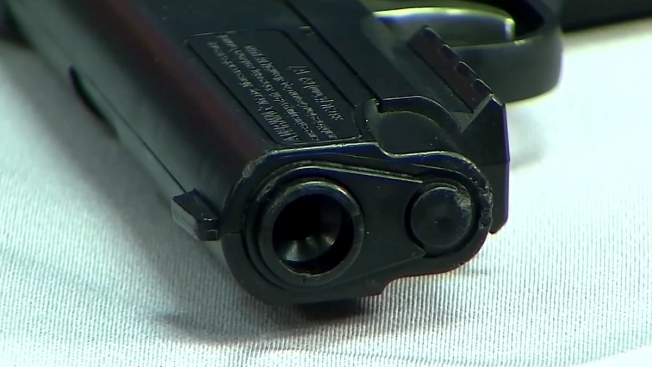 It's possible for relatives, roommates and law enforcement officers to petition a court to restrict a person's access to guns and ammunition under the current law, particularly if their use poses a safety risk, according to the City Attorney's Office.